How to milk a cow until it bleeds dry? We had the new albums in the 80s with the never released songs. Many "greatest hits" compilations. The "Peel off and see' cd box in the 00s. The 'Loaded' double cd. And now 45th anniversary boxes. All to celebrate a band that never broke, never scored a single hit and released only four albums during its life span of five years. But we are talking The Velvet Underground here. A band that influenced a whole horde of other bands, right up to today and spawned two careers that last(ed) decades: Lou Reed's and John Cale's. On top of all that 'The Velvet Underground' is my personal favourite of the four. Next to that there's 'VU' with all the songs that were not released in 1969. Another favourite. Most of that songs return on the 4th disc of this six disc set and make up for the super in this deluxe galore. So after 'White light/white heat' (http://wonomagazine.blogspot.nl/2014/08/white-lightwhite-heat-45th-anniversary.html) and Hollis Brown's 'Gets loaded' (http://wonomagazine.blogspot.nl/2014/06/gets-loaded-hollis-brown.html), some more attention on The Velvet Underground on this blog, the band I was lucky enough to see the second time around in the 90s in the half filled Ahoy arena in Rotterdam. Having gotten into contact with The Velvet Underground in the early 80s, I remember having a very hard time to get to grips with 'The Velvet Underground & Nico'. So it may well be that I only bought 'The Velvet Underground' a few years later. That album and I hit it off much easier. The easy way out of an explanation: John Cale's absence. It's that easy. Just read in the 'White light/white heat' review that I managed to sit through 'Sister Ray' for the first time in 2014! 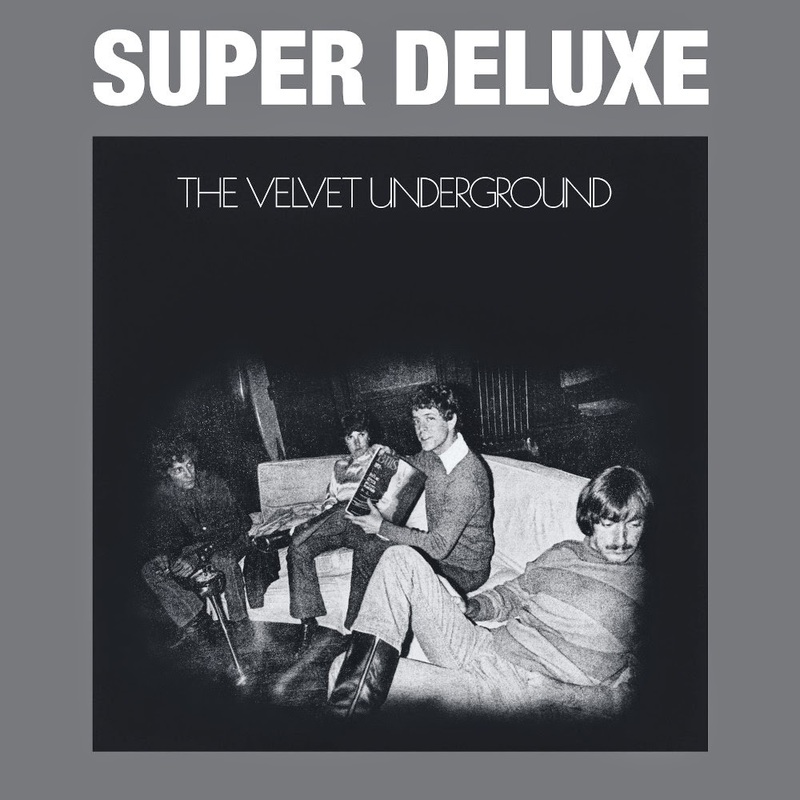 There's nothing like that on 'The Velvet Underground'. That album can be found only three times in the box. The 'Valentin mix', in mono and the 'Closet mix'. Thank you, but where do I start? With disc one and I'll stick to that thank you. Enter Doug Yule in The Velvet Underground and Lou Reed lets him sing the opening song. Soft voiced he croons through the ballad 'Candy says'. One of my best friends danced to this song at a dorm party in the mid 80s and fell in love during 'Candy says' and 'Pale blue eyes' believe it or not. Both are beautiful ballads and show a soft side of Lou Reed that is almost unimaginable when you look at the harsh character he usually chose to display in public. Much softer than in the Nico sung ballads. The paranoia and German, under the skin, tensions are all gone. That The Velvet Underground could rock hard is proven by 'What goes on'. I loved to play this song in my previous band. The singer unfortunately didn't. The shrill organ is a blast, like the factory whistle calling everyone in for the day, while the rhythm keeps pounding and pounding, like the machines in the steel mill. Simply no letting go here. 'Some kind of love' is a sort of Lou Reed song we would hear many times in the future. Two guitars at both ends of the mix, with only a very basic rhythm and more recitation than singing. At the same time, Reed is looser and permits himself a little frolicking in oohs here and there. He seems to be enjoying himself in this song. Joy not being something I associated Lou Reed with. The song also holds the line "Between thoughts and expression", the title of his lyrics book. A line that comes close to the famous line by Willem Elsschot in his poem 'The mariage': "Between dreams and deeds lie practical objections and laws as well" (while contemplating to kill his wife). "Pale blue eyes" is that other great ballad on 'The Velvet Underground'. This time Reed sings himself. By then it is very clear that we are dealing with a very basic album. A tambourine, a very soft bass, one, clean and jazzy sounding guitar and an organ. Mixed very far apart, creating a vast space where the voice can meander around in, which Lou Reed does. The effect is pure magic. 'Jesus' is a very odd one out, but one of my favourite VU songs. The song manages to express all the doubts someone can have while falling out of his' or her's religion without saying so in any words. Quite the opposite even: "help me find my proper place". Lou Reed and Doug Yule harmonise in a beautiful way. Unique in the band's recordings. Again the arrangement is so basic. Even an acoustic guitar, bending notes is in there. Also a unicum for the band, I guess. Let's rock some more. 'Beginning to see the light' is another one of my favourite VU songs. The bass plays these delicious Paul McCartney bassruns. The melody is exquisite and the playing strong. "I wore my teeth in my hands", why not. 'Jesus' did help in the end?, as Lou sees the light here. When you write a song like this, you certainly were inspired. The tempo and mood changes give the song these little extras, lifting it even further up. The 'How does it feel to be loved" part, changes the feel of the song again. Totally top. 'I'm set free' is another ballad, but fuller and a take on a 60s pop song Velvet's style. Doug Yule is prominent in certain parts of the song. Closer to pop than this, the band never was or would be. 'That's the story of life' is a jazzy outing, that just sits well on the album. Not so much a filler, but not as outstanding as several other songs on the album. 'The murder mystery' brings memories of the Cale-era VU to the fore. A strange rhythm. Different lyrics being recited left and right by Reed and Sterling Morrison. Two sets of lyrics sung by Tucker and Yule also opposite each other in the mix. No matter how experimental, the melody works and the oppressive atmosphere of the "verses" is extremely convincing. No matter what all is said and sung. Too hard to follow. Just listen to the guitar melodies and you know that a lot of thought went into this experiment. And then all switches to piano and organ and some psychedelia. The album ends with 'Afterhours'. The song that got Maureen Tucker such a huge applause during the reunion tour. Something the ego of Lou Reed couldn't appreciate. His body language was very expressive at that moment. A jazzy outing that works so well. A new sort of song for Lou Reed, that would put up some more later in his career. The highlight of Maureen Tucker's career, no doubt. On album #4 there's 'I'm sticking with you' in which she is allowed another solo act. Even Sterling Morrison has one line solo here. On Wikipedia you can find all about the different mixes, mainly about Lou Reed's ego playing up (http://en.wikipedia.org/wiki/The_Velvet_Underground_%28album%29). Just like on the live registration of the mid 90's. Should I ever have doubted it, then there is no questioning left. 'The Velvet Underground' is a five star album all the way and, yes, absolutely the band's best.